We have worked with the Zanella family for a number of years and have watched the success of their luxury property, Hillbrook Inn, Spa & Restaurant grow exponentially over the years. 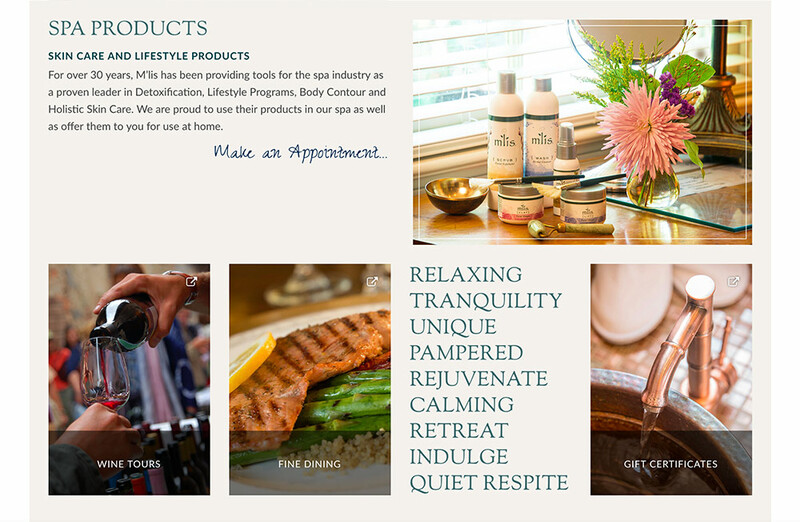 At first, we primarily handled the marketing initiatives for the inn but as the family grew and began to get busier and busier, they turned to White Stone Marketing to rebrand and create a new online presence. Chris and Carissa have impeccable taste and we knew we would be up for a big challenge to hit the mark on an innovative, modern and visually exciting custom website design. Furthermore, Hillbrook Inn was ready to rebrand and position themselves as the premier property for their area in West Virginia. Before we embarked on the website design, we started with the creation of the new logo. 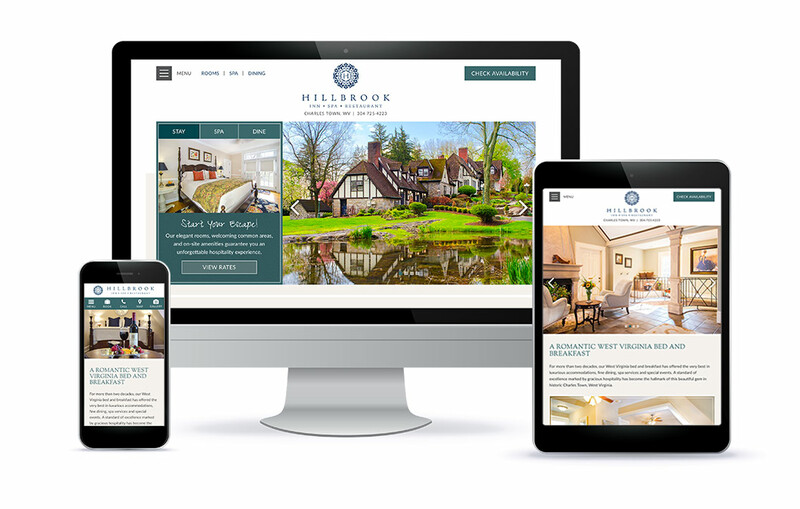 After several strategy sessions, we reached a creative consensus, delighting all parties with a logo beautifully representing the upscale, elegant character of Hillbrook Inn. 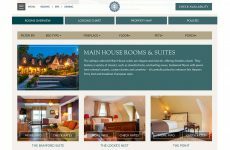 From the font used to the circular design, the new logo speaks to the type of quality and hospitality one can expect from the consummate professionals at Hillbrook Inn. Once the logo was complete, it was time to dive into the strategic and creative process of developing a custom site worthy of this incredible property. After many hours of poring through various designs and ideas online, we chose the look and feel you see before you. 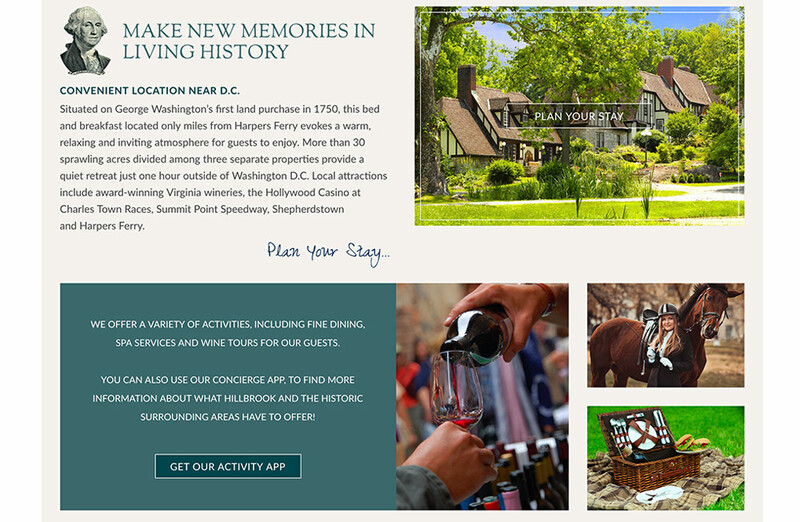 Some might say this is a departure from a typical White Stone Marketing website, but what many innkeepers don’t realize is that our design and development team can produce anything you set your heart on! 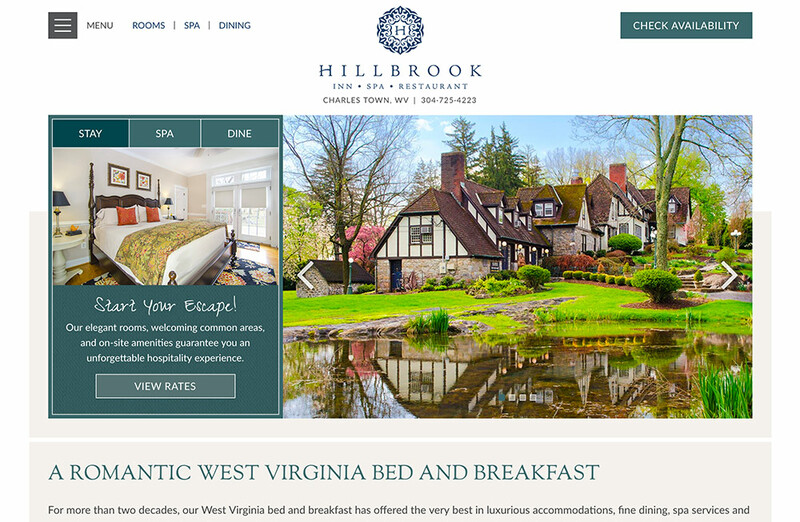 The Hillbrook folks wanted a very forward thinking, out of the box look for their West Virginia Bed and Breakfast. The fact that the site was fully developed in WordPress speaks to the coding genius behind our developers! Every page is unique and built to exacting specifications. At White Stone Marketing, we believe both the unique quality of the design along with the final fit and finish make for a completed package. You will be hard pressed to find any errors on this site! For a highly converting site to truly work, it has to be visually stunning, load at a good speed, be responsive so all screen sizes render beautifully, perform spectacularly in the search engines and entice the traveler to open their pocketbook. 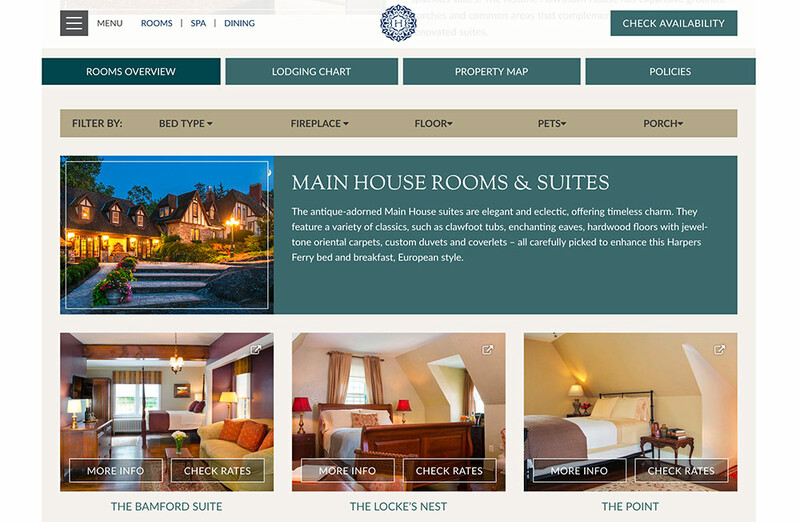 The new Hillbrook Inn site does all of this in SPADES! Dear Zanella Family – It has been our pleasure and joy to work with you through the years and we will continue to do all we can to help Hillbrook Inn achieve all the success you deserve!